“IDA applauds the work that has been done to protect the night skies over Westhavelland, which now has the darkest skies in all of Germany,” said IDA Executive Director Bob Parks. Dr. Andreas Hänel, director of the planetarium at the Museum Am Schölerberg in nearby Osnabrück, led the effort to secure the IDA designation. 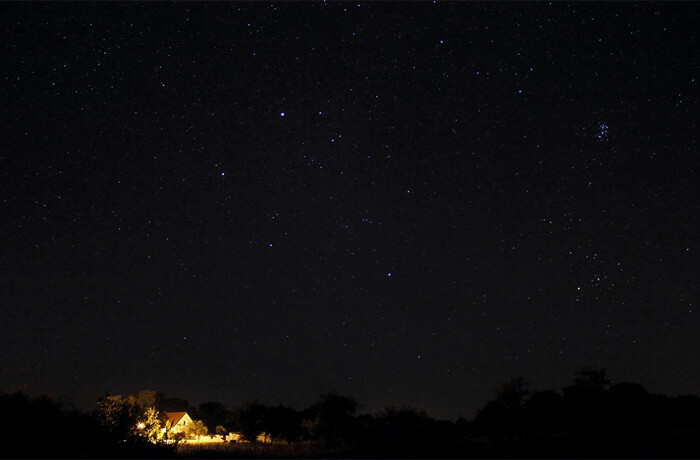 “I hope that this designation will be a motivation for the communities in the Nature Park and many more in the country to install sustainable, environmentally friendly lighting in the future to protect the night and the starry sky,” Hänel said. Westhavelland Nature Park is the largest protected area in the German Federal State of Brandenburg and comprises the largest contiguous wetland of any individual European country. The Nature Park is situated only 45 miles (70 km) west of Berlin, the most populous city in Germany, yet its sparse population and protected status put the experience of a dark night sky within easy reach of nearly six million people in the Berlin-Brandenburg Metropolitan Region. The new Dark Sky Reserve consists of a mix of 290 square miles (750 square kilometers) of public and private land within the Nature Park. Westhavelland Nature Park’s proximity to Berlin makes it a popular destination for tourists and Berliners alike to enjoy the Park’s natural resources. However, the price of that convenience is outdoor lighting that both enables nighttime activities and brightens the night sky with light pollution. Efforts leading to today’s announcement began a full five years ago and required securing cooperation from dozens of municipalities within the Nature Park. Each participating community agreed to bring its lighting into compliance with a comprehensive Lightscape Management Plan drawn from best practices promoted by IDA. Now more than 90 percent of the Nature Park residents live in areas with good outdoor lighting policies. “The park administration is working closely with the communities on this ongoing process to help raise public awareness of the necessity of the dark night environment and recommend how to reduce light pollution,” Hänel said. The idea of a “Dunkel Deutschland” (“dark Germany”) has an ironic double meaning in the former German Democratic Republic. Years of underdevelopment in the Communist era convinced some residents that modern, bright outdoor lighting is an indication of progress and modernity. This thinking poses a problem for advocates of dark night skies. Westhavelland has developed an extensive education, public outreach, and communications pro- gram including the annual WestHavelländer AstroTreff star party, dark-skies interpretive programming, the 2013 European Day of Parks event, the “Kunst und Kultur” (“Art and Culture”) outreach program, and partnering with private enterprise to develop astrotourism. In addition, the Nature Park received the generous gift of a Celestron C8 telescope from the late Arnold Zenkert, longtime director of the Potsdam planetarium. The telescope, dedicated to public viewing of the night sky, will be formally presented to the Nature Park at a ceremony on Wednesday, 12 February. Today’s award is due in part to the individual commitment of many individuals, including Kor- dula Isermann and Claudia Hesse of Westhavelland Nature Park; Jens Aasmann and A. Thielicke, administrators of the Westhavelland communities of Rhinow and Nennhausen, respectively; René Riep, CEO of Naturschutzbund Deutschland Westhavelland; Jordis and Ingolf Hammer of Kreativ-Oase, Gülpe; and Harald Bardenhagen with Astronomie-Werkstatt in Cologne. IDA established the International Dark Sky Places conservation program in 2001 to recognize excellent stewardship of the night sky. Designations are based on stringent outdoor lighting standards and innovative community outreach. Since the program began, six communities, thirteen parks and eight reserves have received International Dark Sky designations.